The team that had toiled under Chip Kelly, 2010 AP Head Coach of the Year (in his first season), to establish the signature blur, “finesse” offense that revolutionized the collegiate game (and now increasingly the NFL, as well)— overnight was being transformed from “float like a butterfly” to “when the body dies, the head must fall.” In eight years, in other words, the flight of the Duck was brought down to the push of the plow-horse. Like most fans within the Anatidae family, I first saw the brilliance of Chip in that early first-season “away” Tennessee game. It had been a lackluster Duck performance when, post-thunderstorm break, the game resumed and showed that the vaunted SEC Vol defensive linemen were gassed, finished— their energy and will seemingly washed away by the rain. 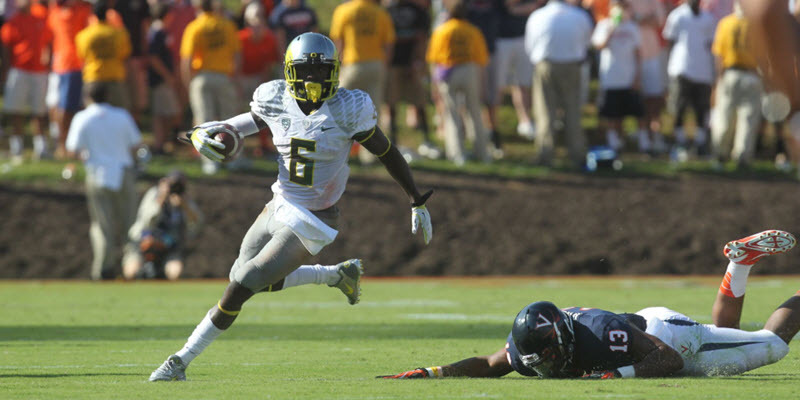 During the glory years that followed, the Ducks scored in bunches and very, very quickly. That meant that the D was on the field a lot since Duck TOP was far smaller than that of opponents.’ Yet, under the greatly under-appreciated Nick Aliotti, our defense additionally played a “bend—don’t break” style, resulting in long periods on the field. Oddly, I cannot recall a game in which our D appeared exhausted, hands-on-hips. So, how did that apparent contradiction happen? Do defensive linemen get tired faster when they must hurry-up vs play at a slower pace for longer times? 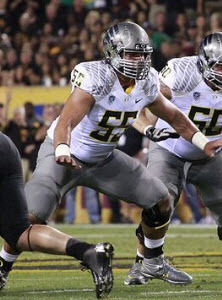 Hroniss Grasu made the NFL from Oregon! Has Mario abandoned that conditioning; can our current type of linemen attain it? In other words, is the Duck D being built to a model that lends itself to vulnerability; ironically, to vulnerability to the same type of offense that once elevated the Ducks? Certainly, the Stanford and Utah games (and parts of the now Kelly-led UCLA game) should give pause to smash-mouth adherents: the Duck defense, when forced onto the field repeatedly with short rest and forced to defend “long fields” began to offer as much resistance as did Michael Spinks in the first round vs Iron Mike Tyson. Many here laugh at the relatively poor recruiting of Kelly— both in the past and now at UCLA. But ratings are based on traditional metrics— and as noted, Chip was looking for a different breed of animal, both offensively and defensively. 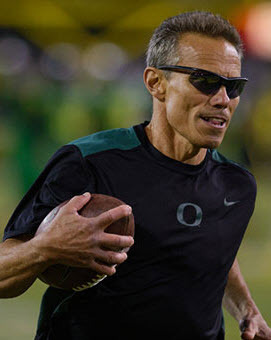 I certainly am not about to criticize a guy whose four teams at Oregon all made BCS games. I make no secret that I loathed Chip’s practice of insulting those below him— but I never questioned the brilliance of his football mind. Yes, the Ducks have just succeeded in amassing (intended) an astounding amount of linemen talent, but will this stop Kelly-style offenses and, equally concerning, allow for scoring to keep up with high-octane opponents? When that future “thunderstorm” happens, will our defensive linemen be Spinks… or Tyson?